USTA Southern is looking for providers to partner with to increase participation in tennis with a focus on attracting and retaining new tennis players. We recognize that there are a number of existing tennis providers throughout USTA Southern that are effectively servicing certain geographic territories and markets. We plan to continue supporting their efforts in our normal business practices outside of this RFP. At the same time, we recognize there are voids in certain areas where we have the potential to dramatically increase participation in the sport of tennis. The areas we plan to support through this RFP process are those where there are few or no existing tennis programs, or where successful programs can be expanded to new sites. The goal of this RFP is to identify providers with new delivery system model(s) that will successfully attract and retain new tennis players. We want to identify innovative and entrepreneurial ways that the sport of tennis can be delivered in local areas. Once successful models are identified, we want to replicate them in other areas throughout USTA Southern. We want people to be able to find and participate in local tennis programs, leagues and events that are both sanctioned by the USTA (i.e. those that are governed by USTA Rules and Regulations) and not formally sanctioned by the USTA. We are open to new programming and activities that will grow participation in the sport provided those solutions meet the following criteria. What void(s) are you filling and why do you feel you can be successful in filling each void? What successful program should be expanded? Explain how the project will be managed and include the names of people who will be directly involved and responsible for the project’s success. Please be sure to identify the number of full-time and part-time staff as well as any contract labor. What experience do you and/or your team have in providing tennis programs, leagues, and/or events? Clearly identify the estimated number of new tennis players who will be involved in all activities. Over what period of time will they be involved? What partnership(s) have you already established or are you planning to establish in the area(s) where programming will take place? Do you need assistance in establishing partnerships? State the target age(s) of the new tennis players you will be attracting (i.e. junior, adult and/or families). Describe the number of tennis courts in the area(s) where programming will take place and the commitment(s) you have from the owners/managers of those courts. Also identify if those courts are permanent 36’ and or 60’ or if they are 78’ courts with blended 36’ or 60’ lines. What are your marketing and communication plans and who will be the person or people responsible for implementation? In programs that involve minors, discuss your ability and/or willingness to include mandatory background screening for coaches involved in your program. What insurance protection do you have in place for the programs and activities you will be providing? Provide a schedule identifying key milestones leading to project completion. Please be sure to include key deliverables USTA Southern must provide to ensure that schedule dates are met. What financial or other resources will you require to begin work and how soon after the initial commitment will your program begin? Please provide your detailed financial business model including all associated revenues and expenses for the project. At a minimum, include a detailed budget for the first year of your program, and general projected budgets for follow-on years, if any. Please indicate what financial support is requested from USTA Southern each year, and specify what your net cost per player will be. Also identify how and when the program will become self-sufficient and then profitable as soon as reasonable. USTA Southern may provide startup costs, but does not plan to become an on-going funder of your program. Ability to meet the needs specified in this RFP at an acceptable cost not to exceed $30 per player to USTA Southern. The experience and level of expertise of the providers in relation to the requirements of this RFP. Ability to provide detailed pricing that includes incremental costs and breakdowns. The ability of a provider to help grow participation in the sport of tennis. The teaching experience of the provider or its contract labor. The provider’s experience with its State Tennis Association. Maximum grant request is $100,000 total, which may be spread over a period of one to three years as specified in the application. Projected date when program will be profitable. All responses received in accordance with the criteria set forth in this RFP will be carefully reviewed and given full and fair consideration. It is important that proposals be accurate, detailed, and candid to assist USTA Southern in the evaluation and selection process. Information presented in this RFP, as well as information provided or disclosed in subsequent meetings or conversations related to this RFP, is proprietary and confidential to USTA Southern and cannot be reproduced or distributed externally by any person or party other than USTA Southern. All proposals approved for funding in response to this RFP become the property of USTA Southern. USTA Southern reserves the right to further negotiate all terms of a proposal, including price, in connection with reaching a mutually acceptable final agreement with the providers and programs selected. The selected provider(s) shall be required to enter into a written Memorandum of Understanding (MOU) with USTA Southern in a form or forms to be provided by USTA Southern and mutually agreed upon by the parties. Individuals and organizations responding to the RFP must represent and warrant that, to the best of their knowledge, there are no potential individual or organizational conflicts of interest or potential conflicts of interest (e.g., current or past contractual or employment relationships between proposer and USTA, USTA Southern or any state tennis association) or other circumstances that might create a financial interest or arrangement in this transaction or between proposer and any USTA Southern Officer, Director, Committee Member, or employee or any state tennis association, state officer, state director, state committee member, or state employee. For the purposes of this disclosure only, “USTA Southern” includes USTA Southern and the Southern Tennis Foundation. If yes, please attach a detailed explanation. If no, please make an affirmative statement that you are unaware of any conflict or potential conflict. Prior to entering into a MOU relationship with USTA Southern, providers will be required to complete a Conflict of Interest Disclosure Form. Whether a disclosed conflict will disqualify a bidder from being awarded a contract, and all such decisions regarding the impact of any conflict(s) are necessarily dependent upon the facts of such conflict(s) and shall be made at USTA Southern’s sole discretion. 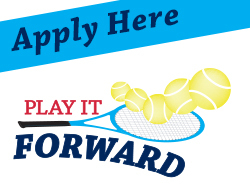 Applications should be submitted on line using the on-line application form on the USTA Southern web site. Respond with your complete proposal by the any of the deadlines stated above. Proposals received after a deadline will be considered with the next quarter’s submissions. This RFP has been approved by the USTA Southern Board of Directors on Jan. 7, 2016.